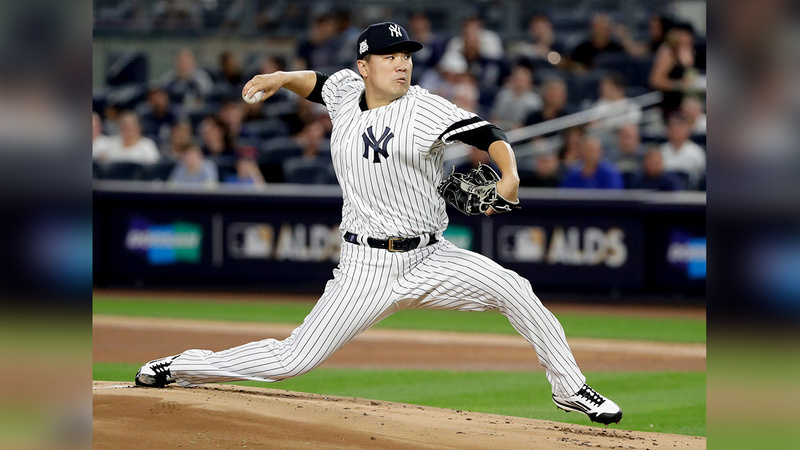 BRONX, New York (WABC) -- Masahiro Tanaka is no stranger to pressure. He started the Yankees Wild Card game in 2015. He took the mound last Sunday against the Indians when the Yankees season was on the line. He once threw 160 pitches in a Japanese Series game and then came in the next day and pitched out of the bullpen. So in this ALCS, it is fair to say he is used to the spotlight being on him. Tanaka is a pitching royalty in Japan. In a high school tournament, he threw 742 pitches in five games. During his professional career, he posted a 24-0 record in the 2013 season. This is why eight Japanese reporters cover his every move in pinstripes. But Tanaka's time in the Bronx has not always been easy. After signing a 7-year, $155 million contract, Tanaka had an excellent season in 2014. He won 13 games and posted a 2.77 earned run average. But he spent time on the disabled list in 2014 and again in 2015. Tanaka silenced critics concerned about his health, by starting a career-high 31 games last season and avoiding any time on the DL. He won 14 games and his 3.07 ERA was the third-best in the American League. Tanaka, however, failed to build on that success and struggled this season, posting a 13-12 record and a bloated 4.74 ERA. While that may give fans some pause, remember it was Tanaka who pitched seven shutout innings against Cleveland when a loss would have ended the Yankees season. So no matter what happens in the ACLS, we know that Masahiro Tanaka will not shy away from the spotlight.